The Monument Bookshelf from Moe's Home Collection serves as a wonderful storage option in a modern or traditional setting. It consists of solid walnut that delivers unparalleled quality, along with multiple compartments of varying sizes and shapes to provide plenty of storage options. Plus, the bookshelf brings a natural accent to a room's d�cor and is sure to maintain its appearance for years to come. Enjoy a stunning and practical storage option with the Monument Bookshelf. Rustic walnut construction offers a wonderful mix of fashion and function. Offers different sized compartments, making it easy to display a broad array of items. 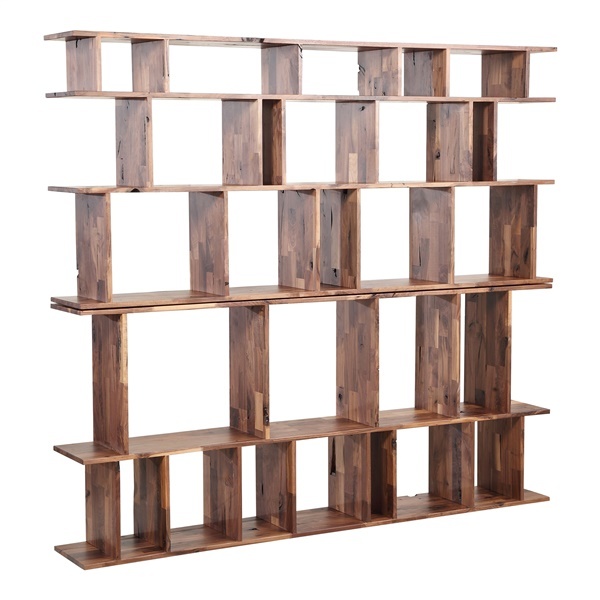 Nature-inspired design helps the bookshelf complement the d�cor just about anywhere. Serves as both a practical bookshelf as well as an attractive decoration.